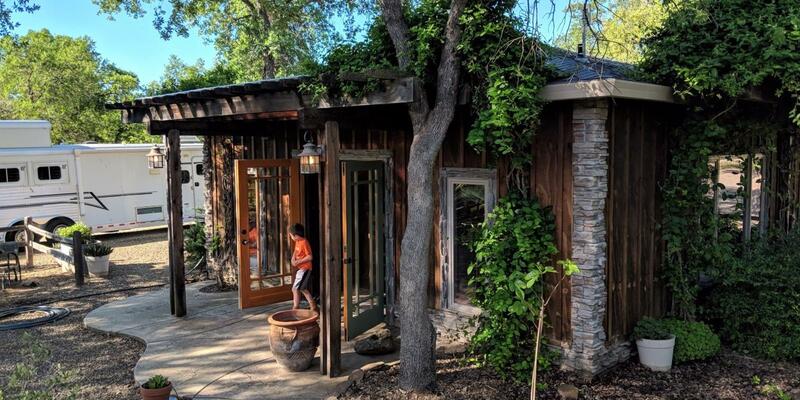 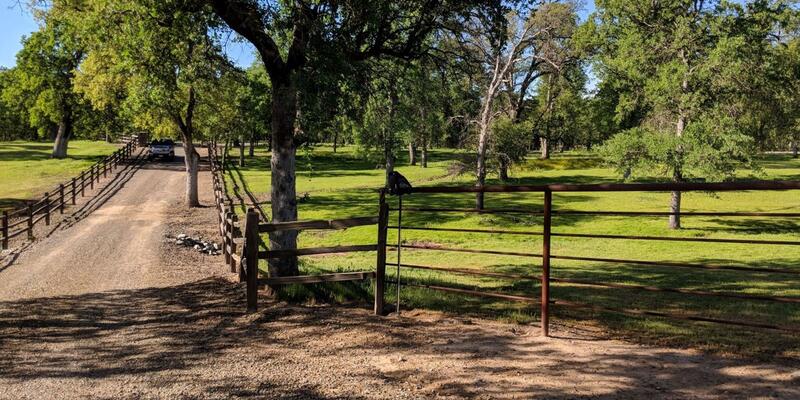 From the moment you arrive at the impressive gated entrance to 3 Rock Ranch, you know you are someplace special. 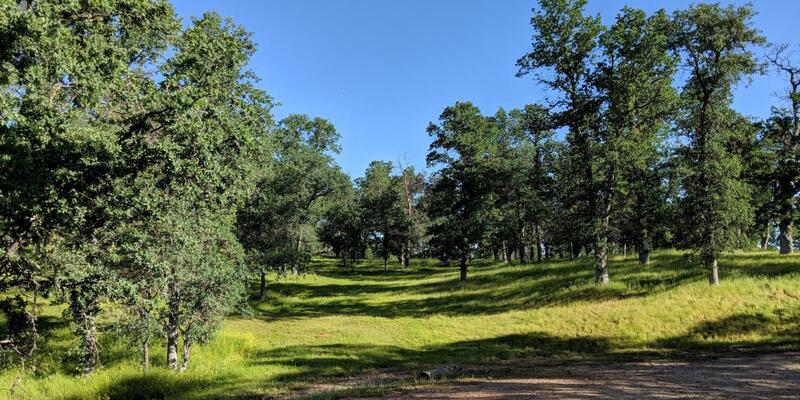 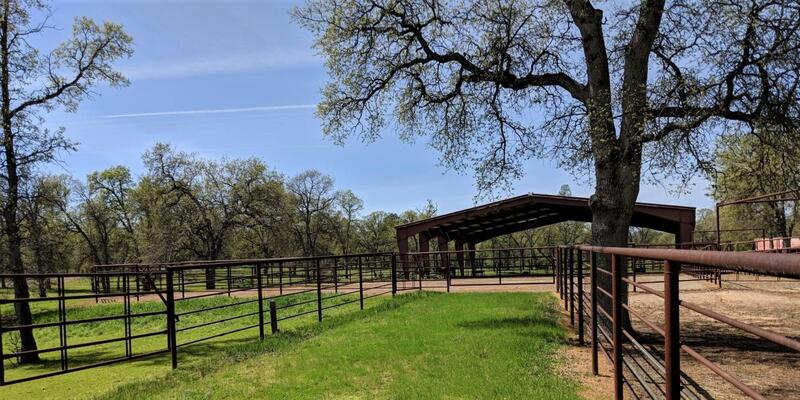 Located on a private road in an upscale rural neighborhood, and backing up to 1300 undeveloped acres, this ranch is one of a kind. 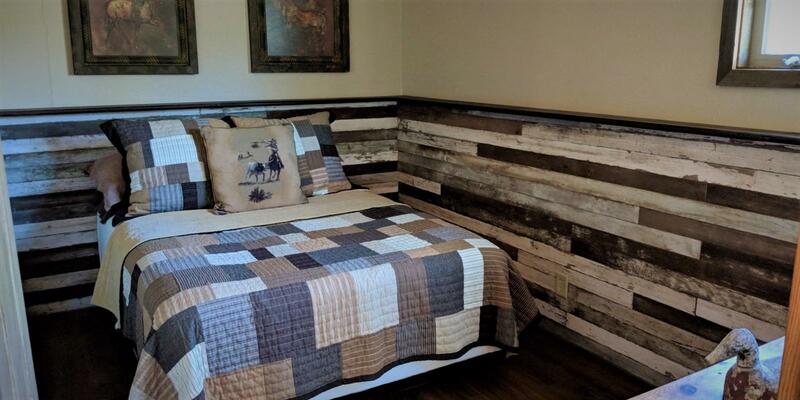 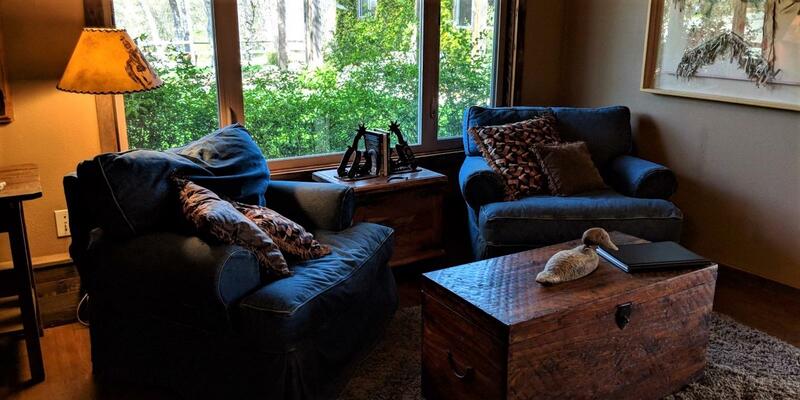 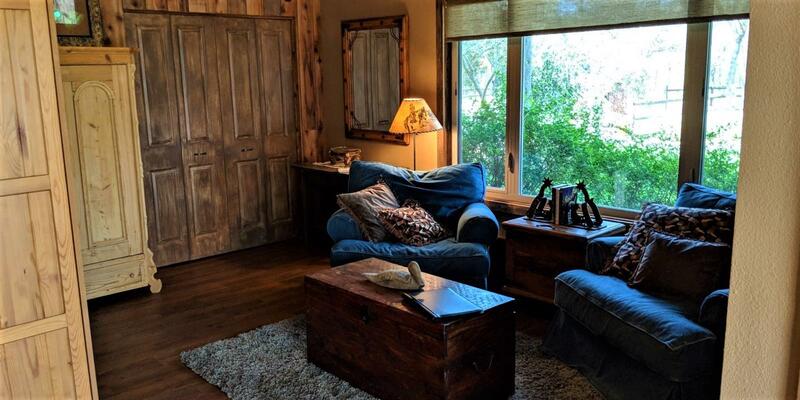 Privacy, tranquility, peace of mind, and the feeling you have found your perfect place to escape from the world, are just some of the feelings you may experience here. 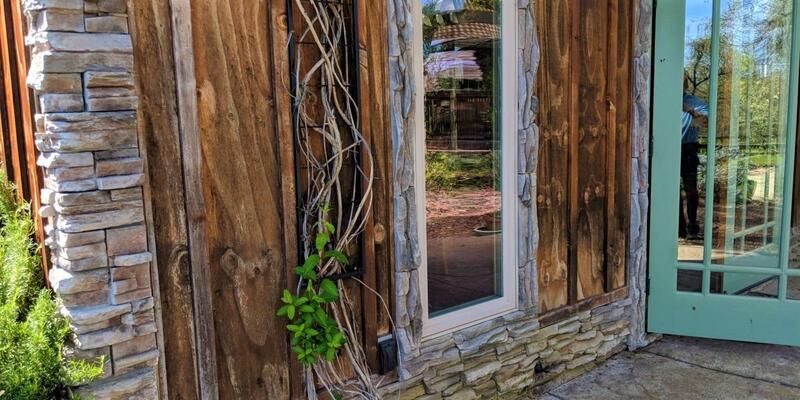 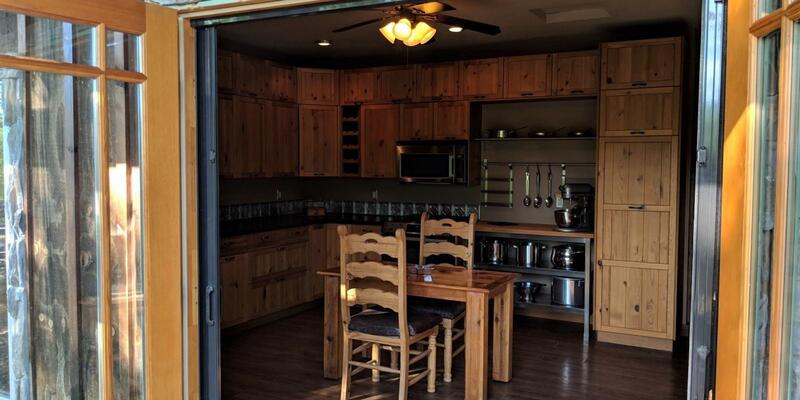 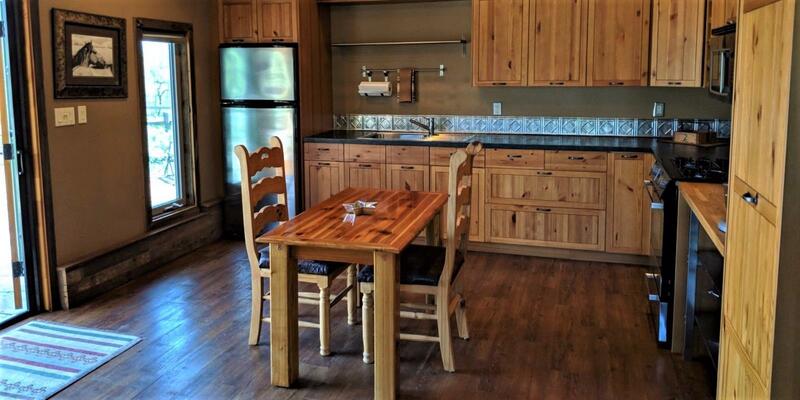 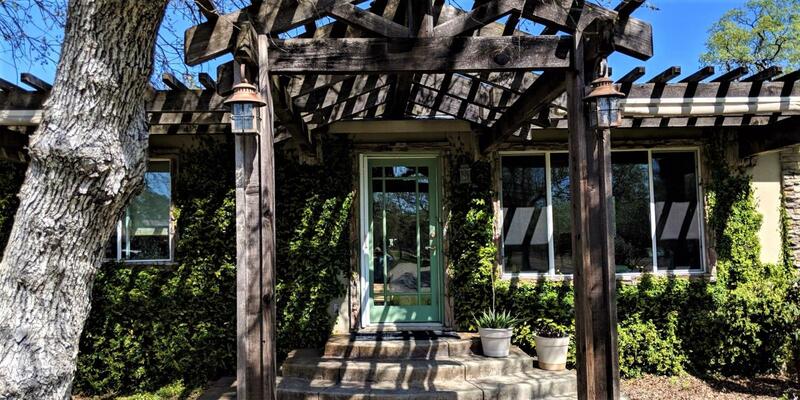 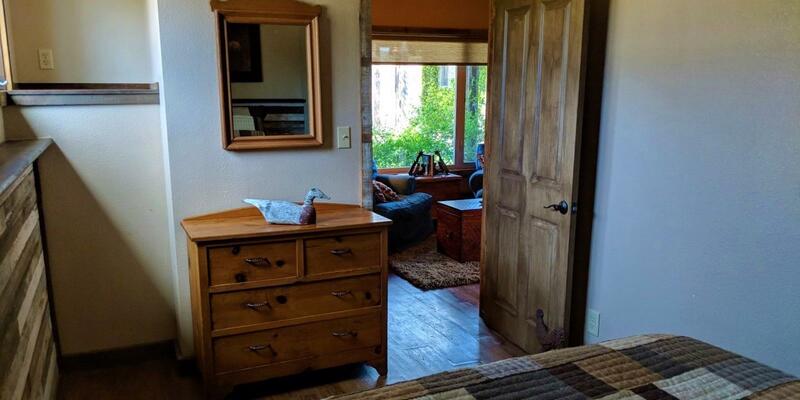 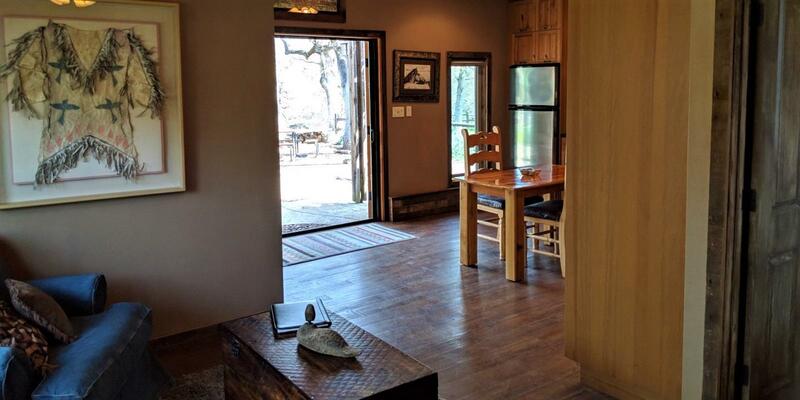 The two charming, recently updated, cozy cottages are located at the end of the long driveway. 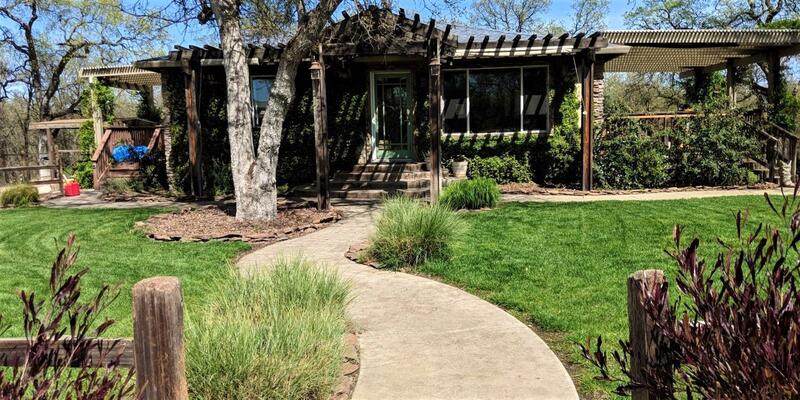 Set amongst olive trees, lush lawns, and well manicured landscape, these homes provide the perfect place to relax and unwind. 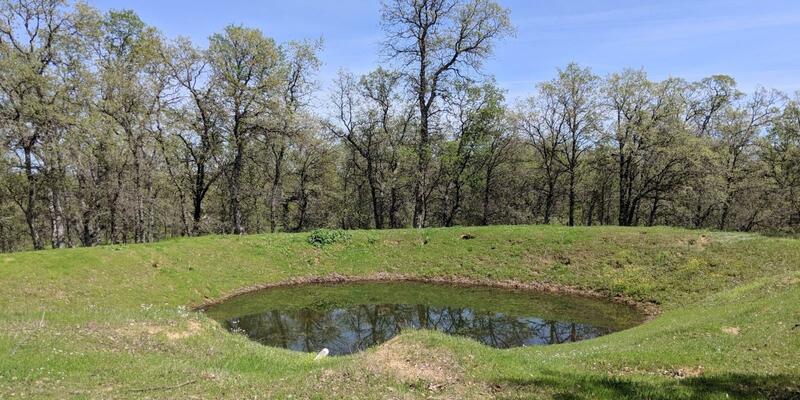 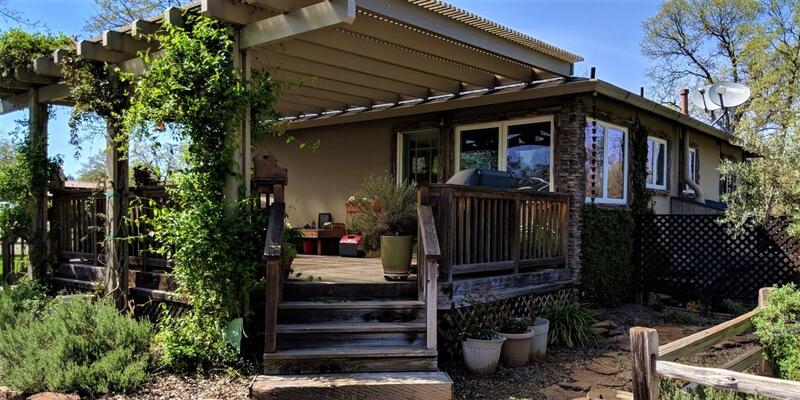 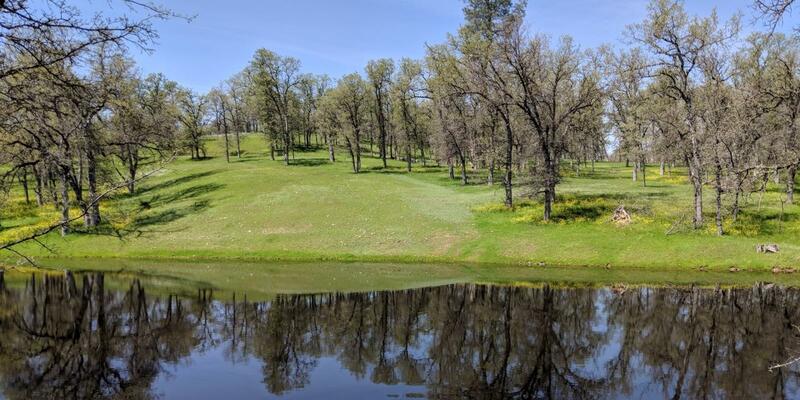 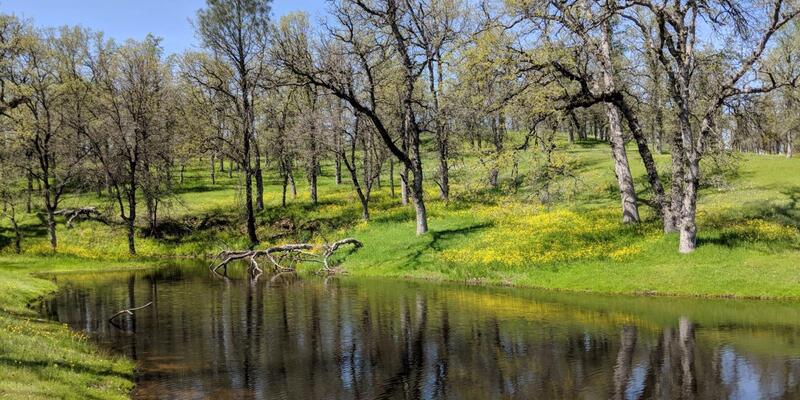 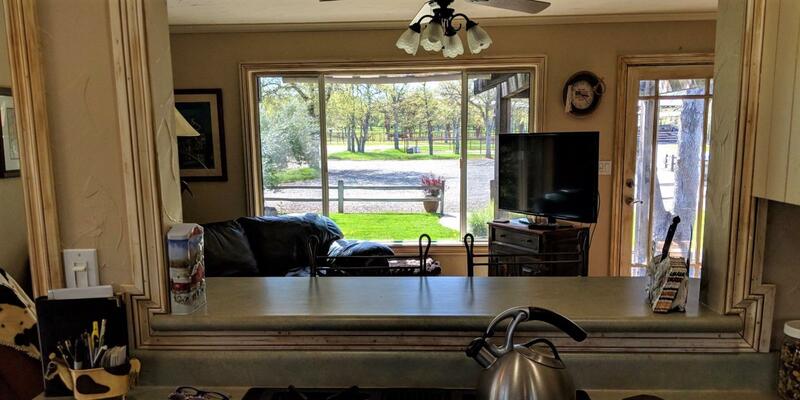 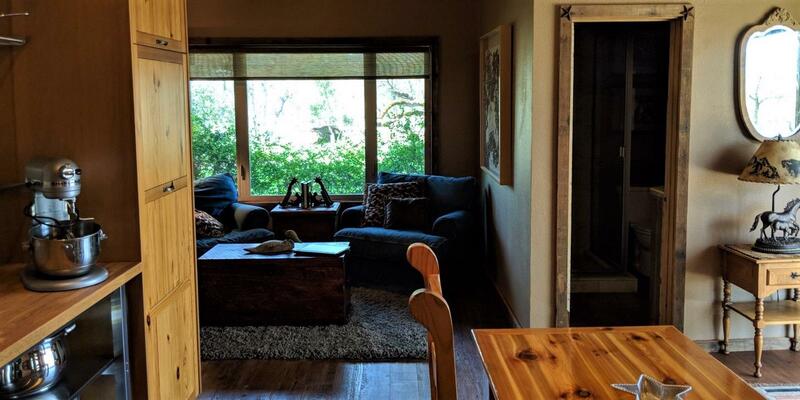 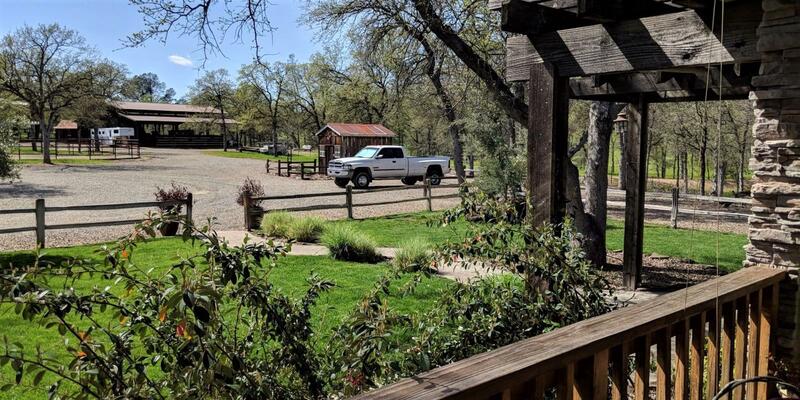 With gently rolling hills, 2 ponds, a seasonal creek, and 40 usable acres, this ranch property has many unique benefits. 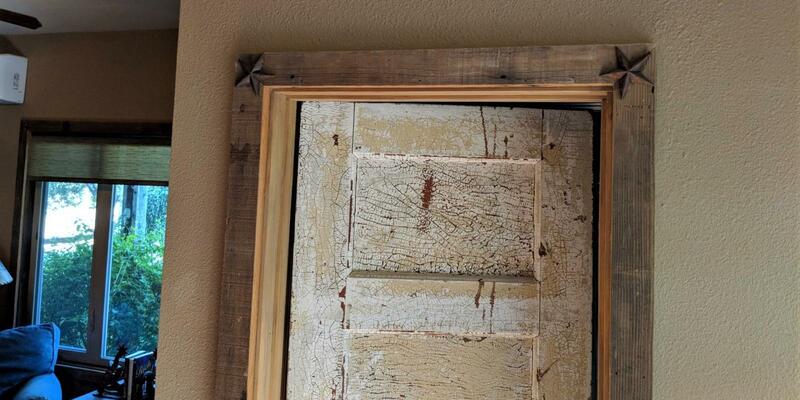 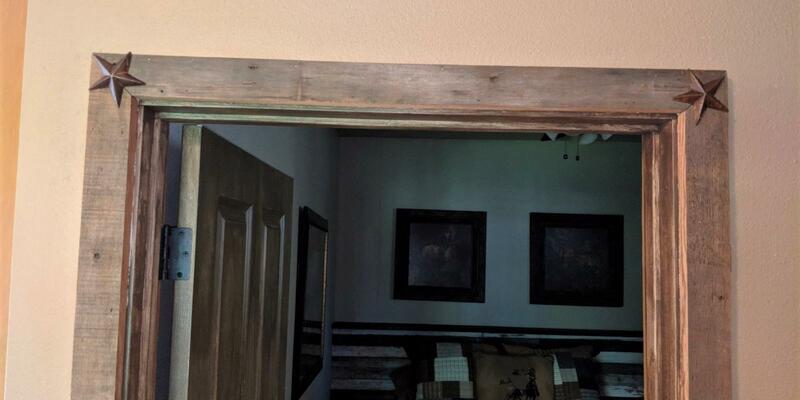 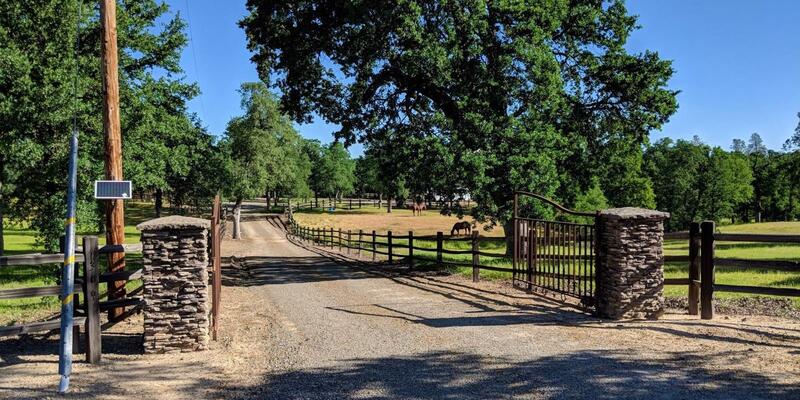 3 Rock Ranch was created with outstanding attention to detail, and a well thought out upscale design. 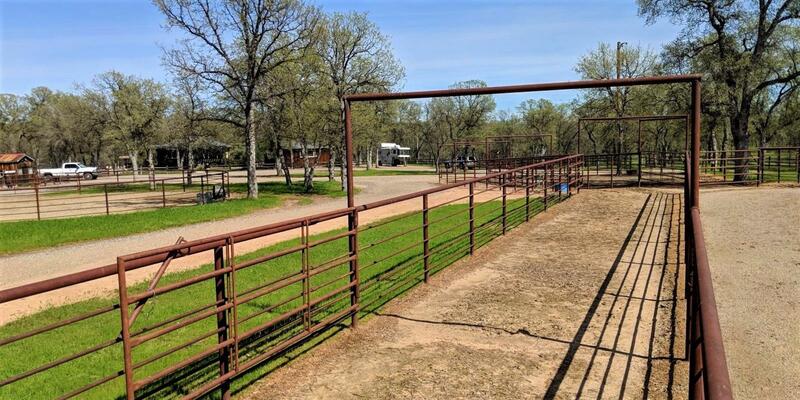 The current owners designed the ranch for training cattle horses, and as a cattle processing operation. 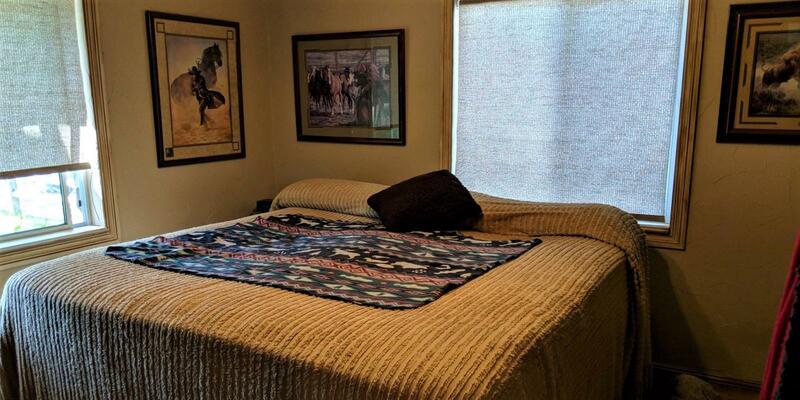 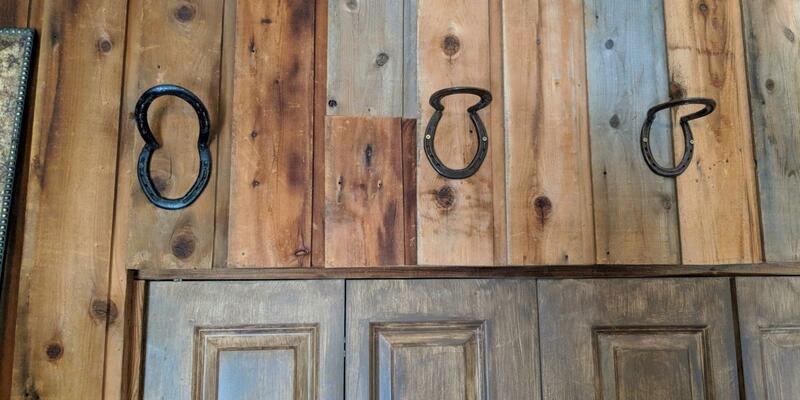 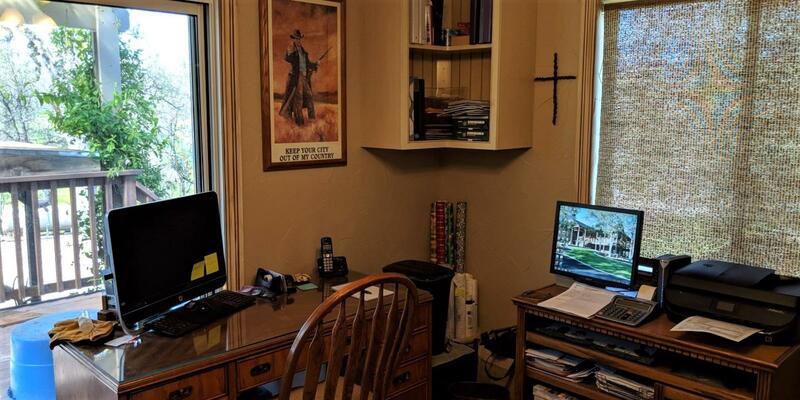 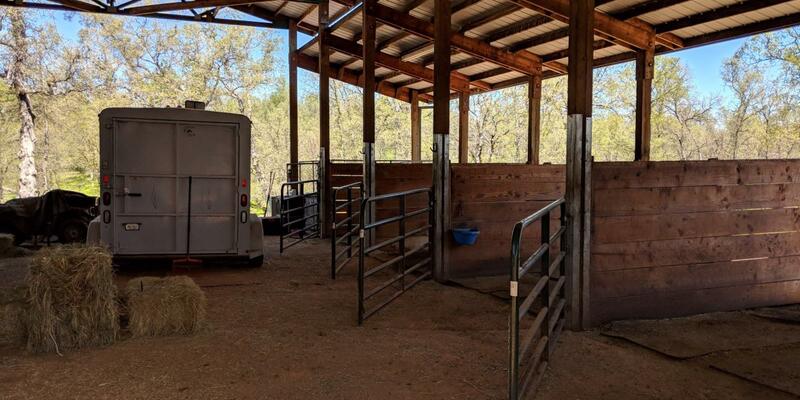 However, if you enjoy team roping, or make your living training horses, or enjoy riding strictly for pleasure, you have found the perfect place. 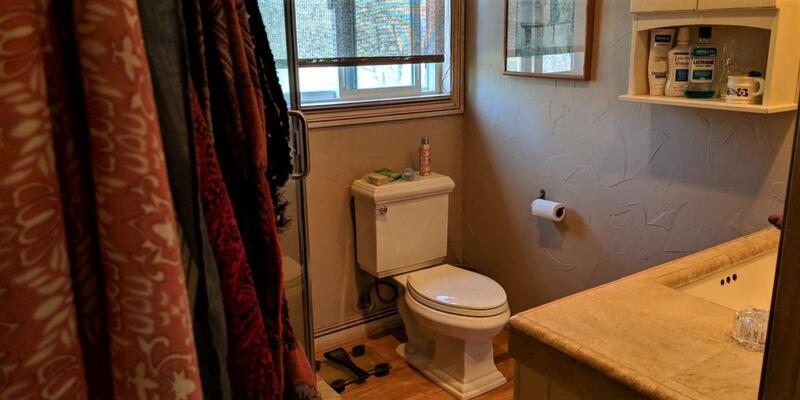 The possibilities of the facilities are endless. 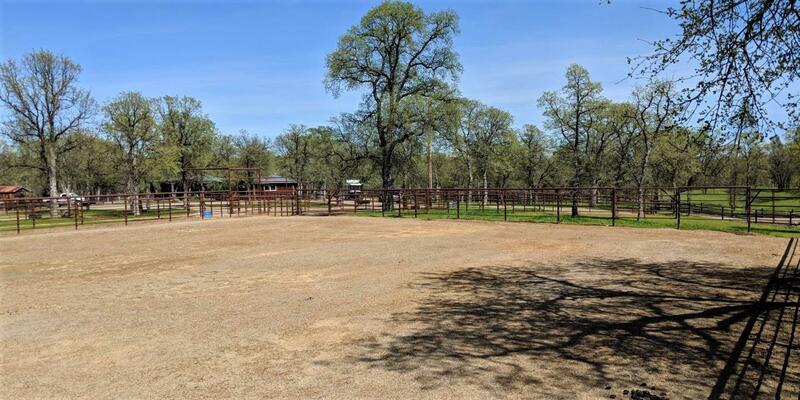 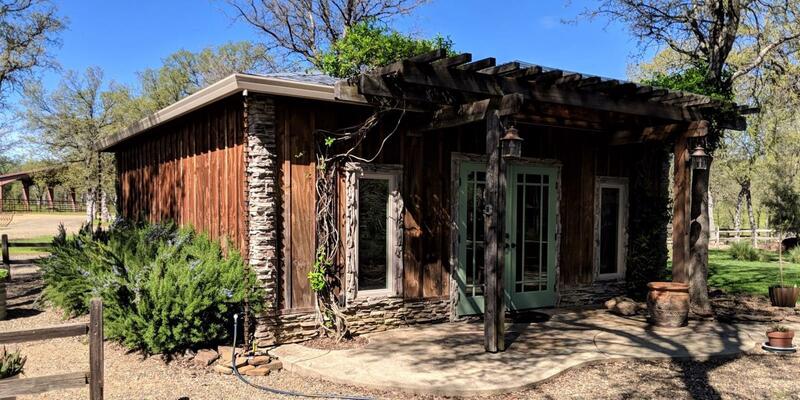 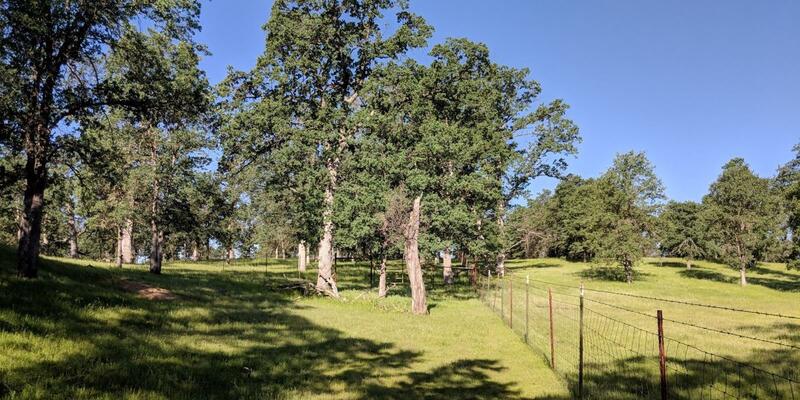 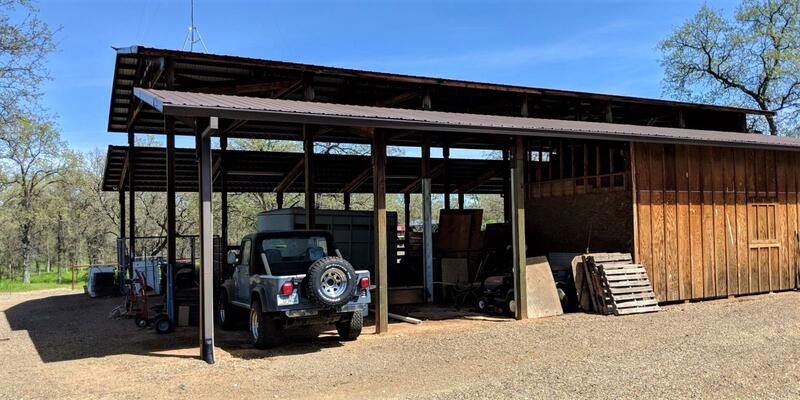 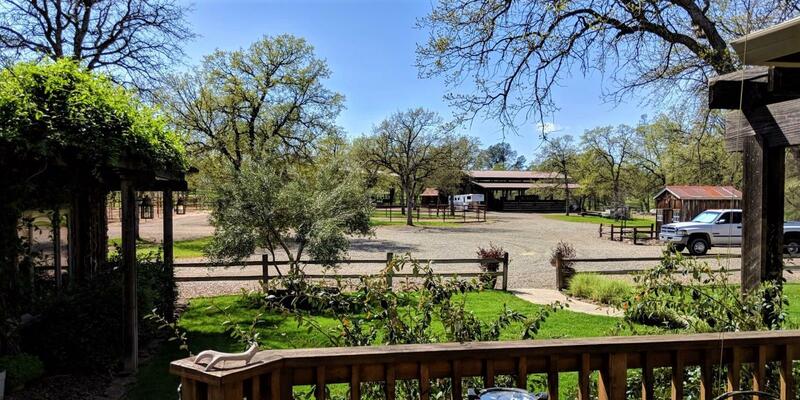 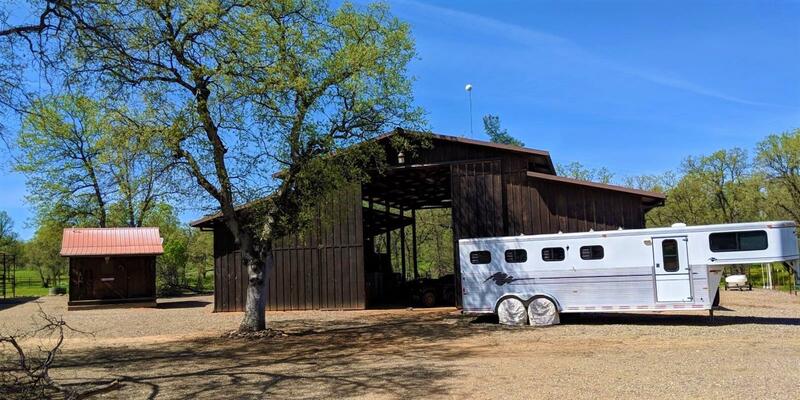 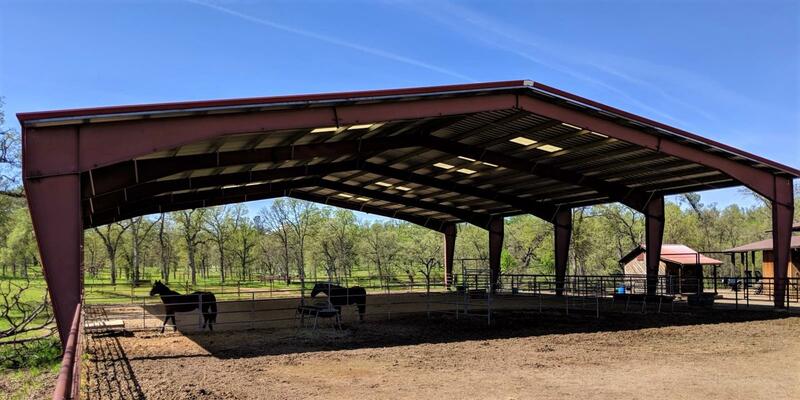 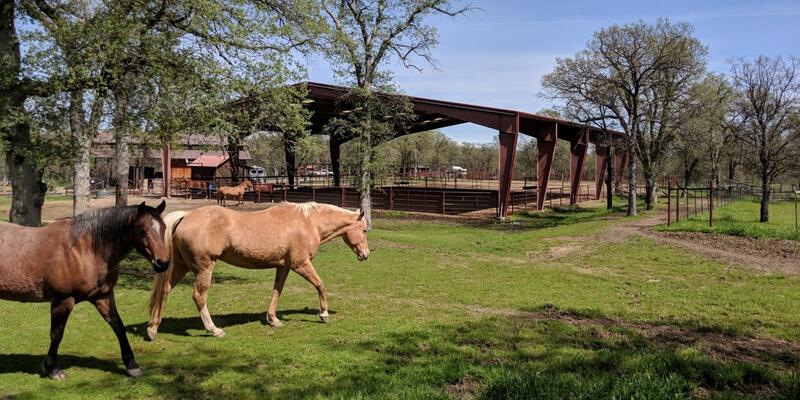 With 6 fenced and cross-fenced pastures, 90’ x 250’ arena and 60’ round pen (both fenced in steel), tack room, and large pole barn, this property is a rare find. 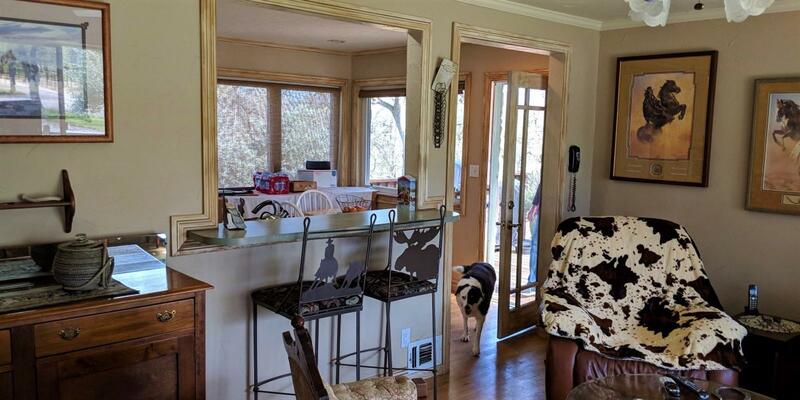 Move in ready with a lifestyle most would envy, best describes 3 Rock Ranch. 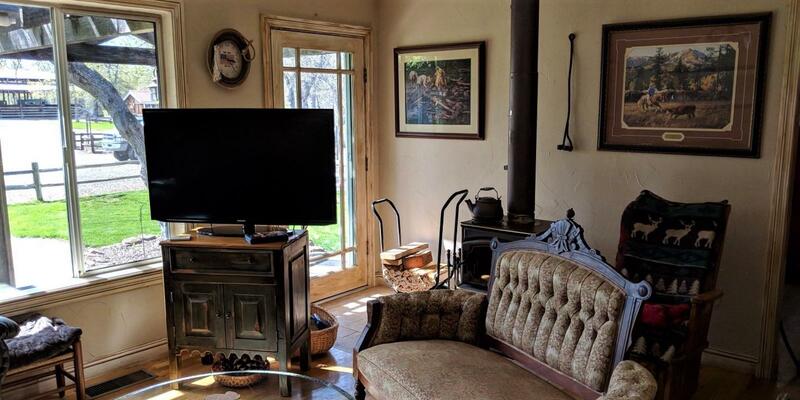 Schedule a viewing, you won’t be disappointed. 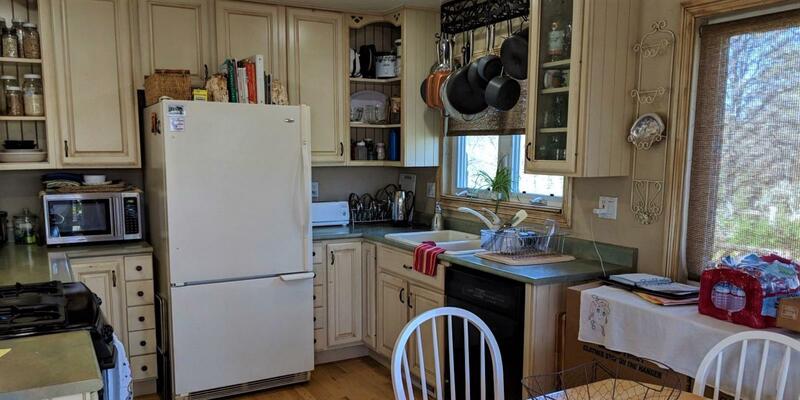 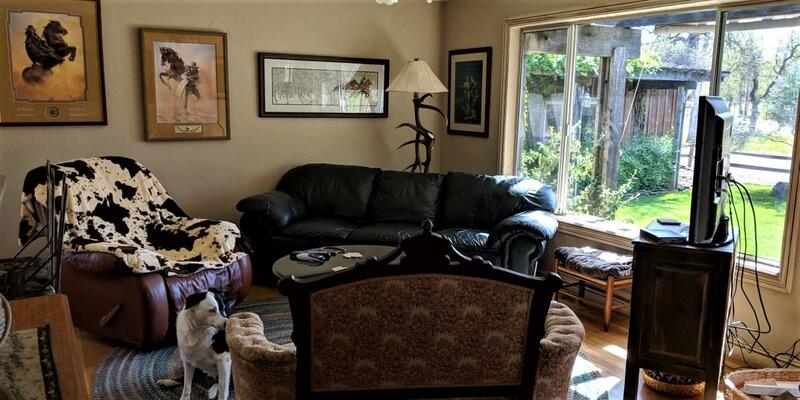 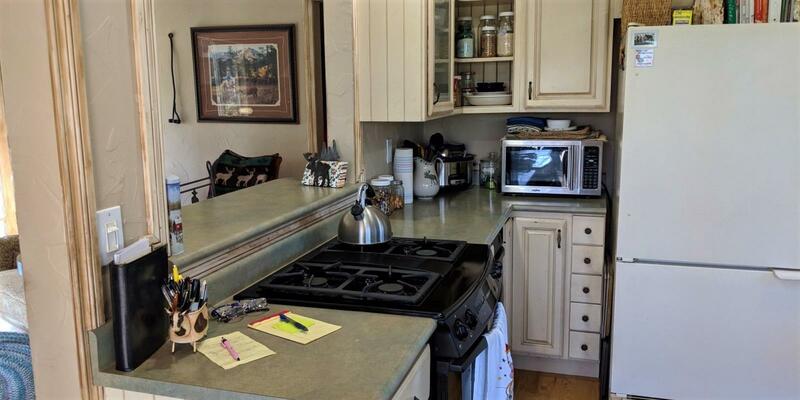 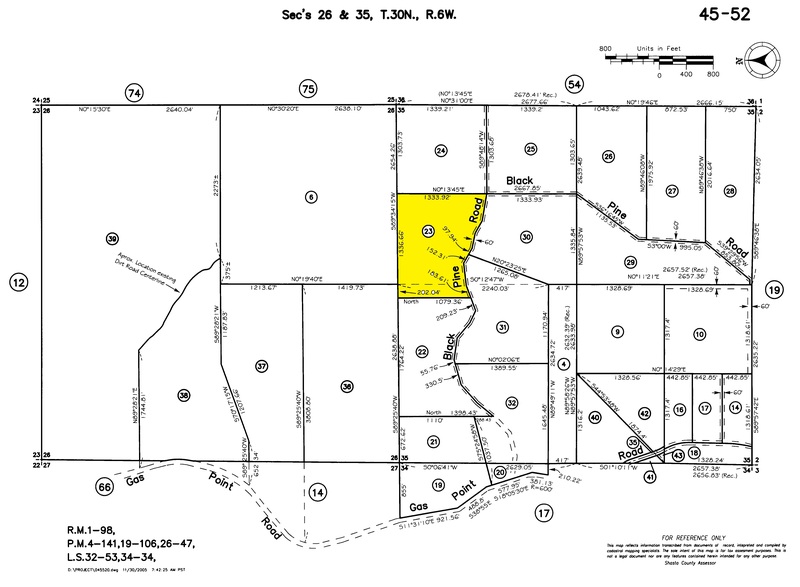 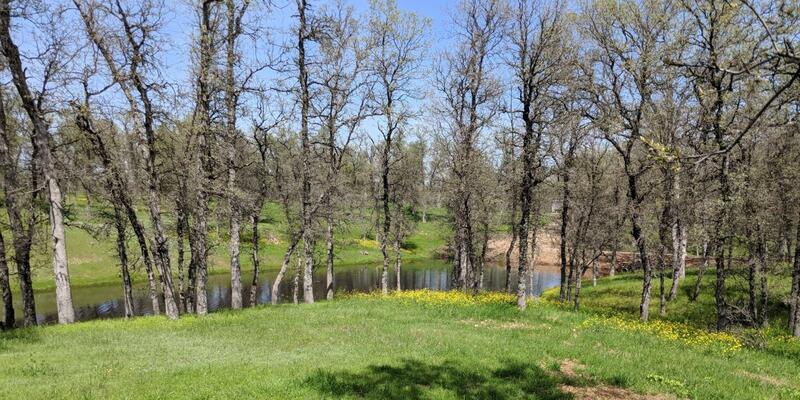 The acreage consists of one parcel with approximately 40 deeded acres. 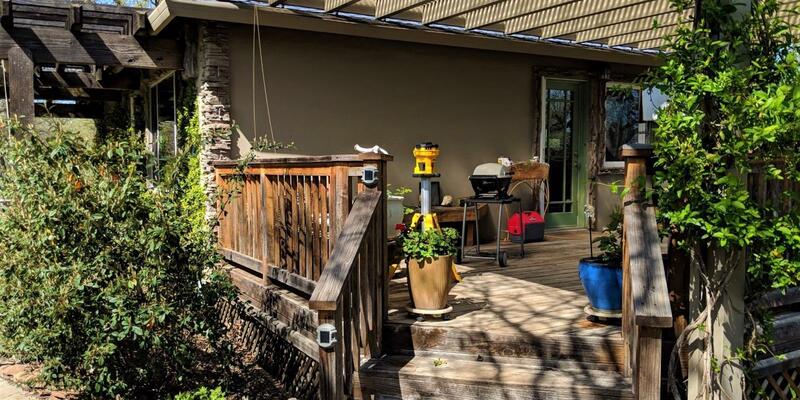 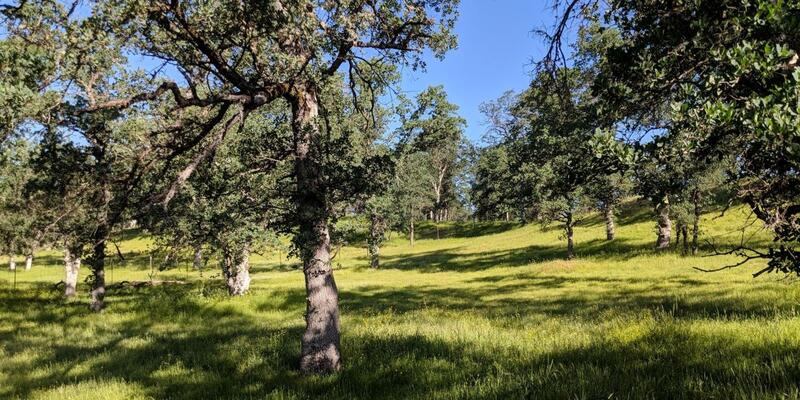 The topography is level to rolling with the elevation ranging from about 655' to 715'. 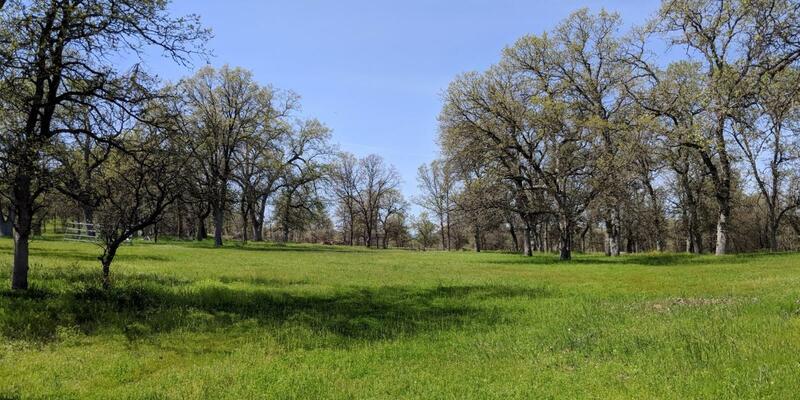 Bordered on 3 sides by similar parcels and a paved county road defining the southern border, the parcel provides easy access and plenty of privacy from the neighbors. 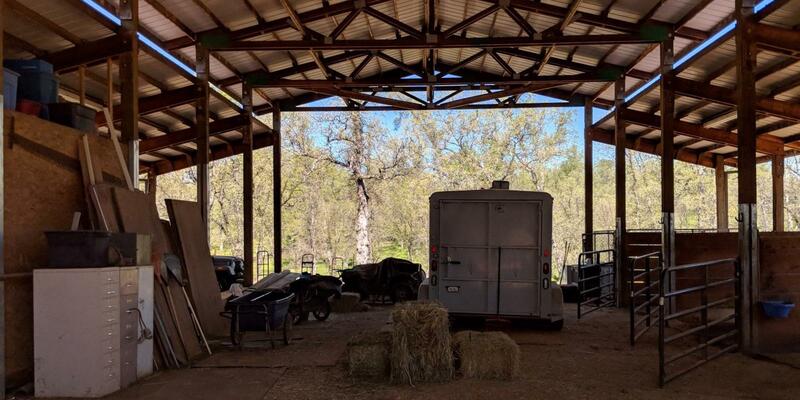 Near the horse riding arena, is a 50' x 60' pole barn. 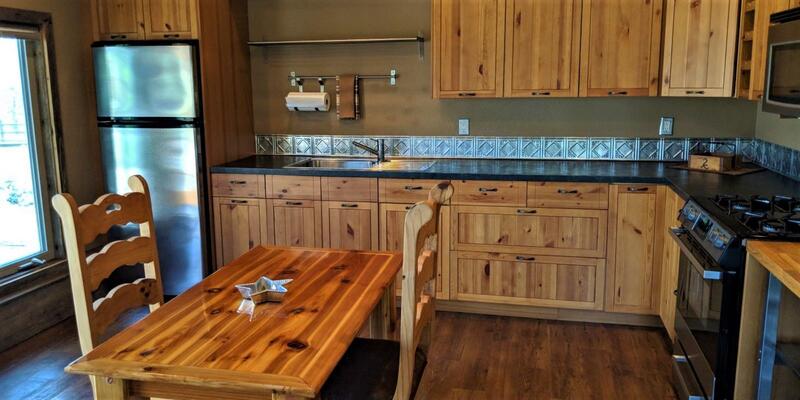 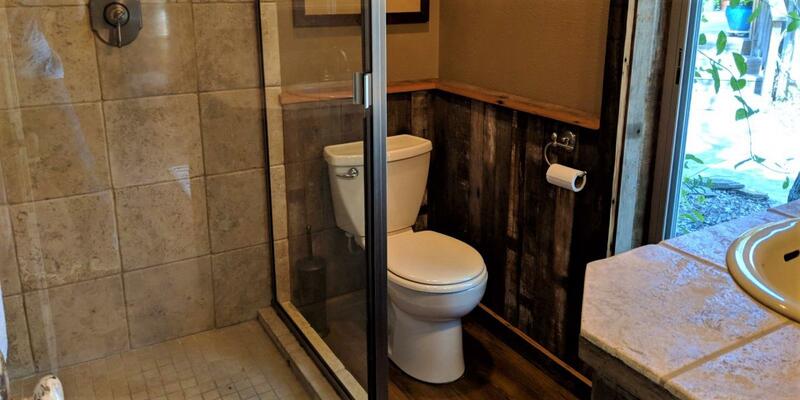 Features include wood siding, metal roof, water and electric. 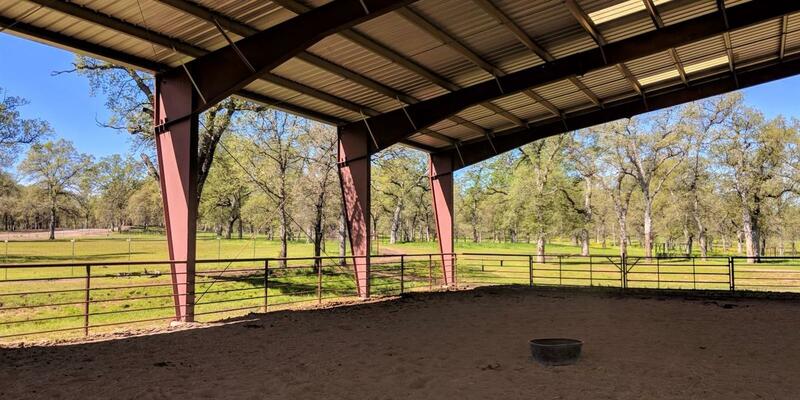 Centerpiece of the ranch is an impressive 90' x 250' horse riding arena. 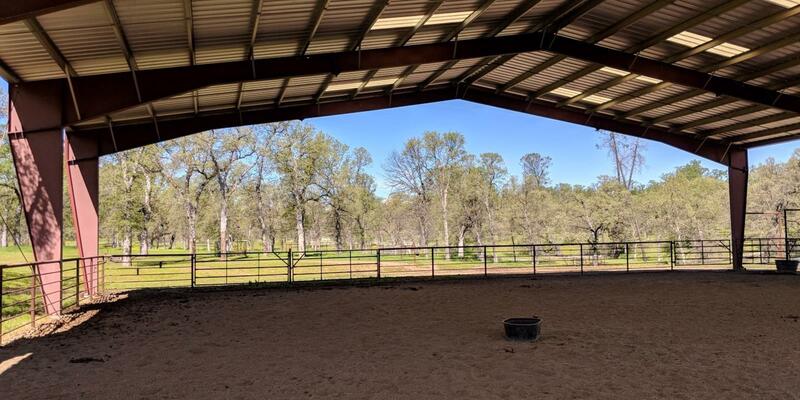 Nearly half of the arena (90' x 100') has a steel framed cover with skylights. 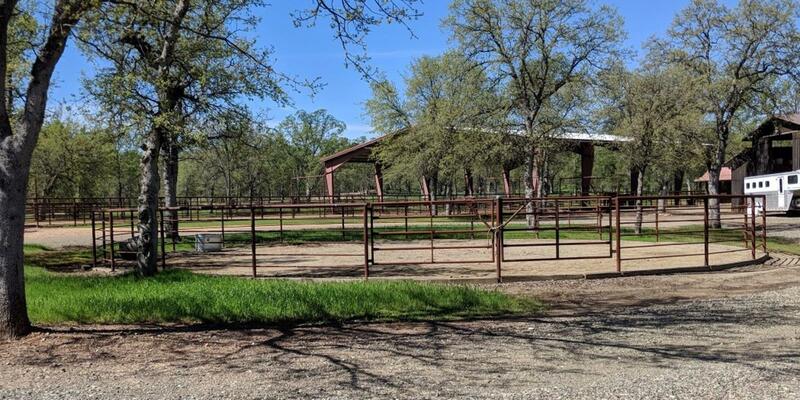 Steel pipe fencing was used for the arena and associated corrals, pens and alley. 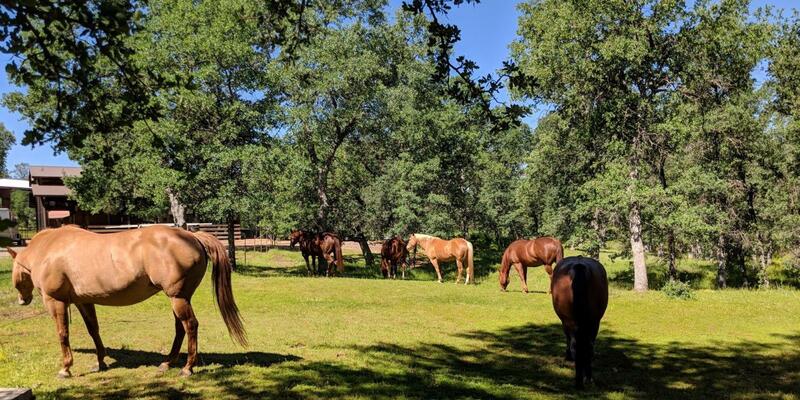 The ranch is ideal for the horse owner. 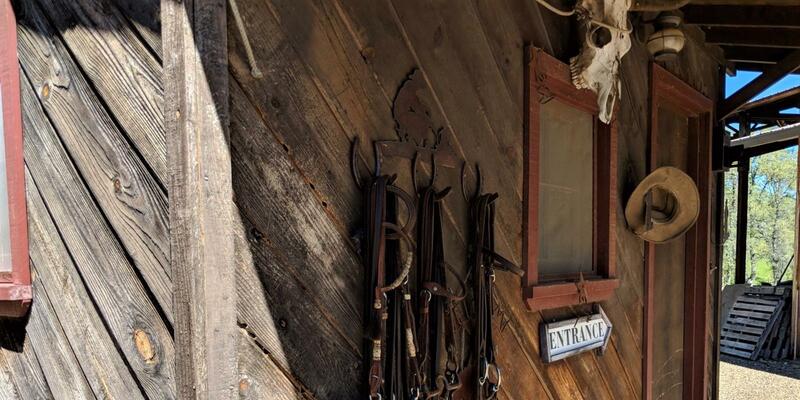 Whether you are into training or pleasure riding, you will find the facilities very useful. 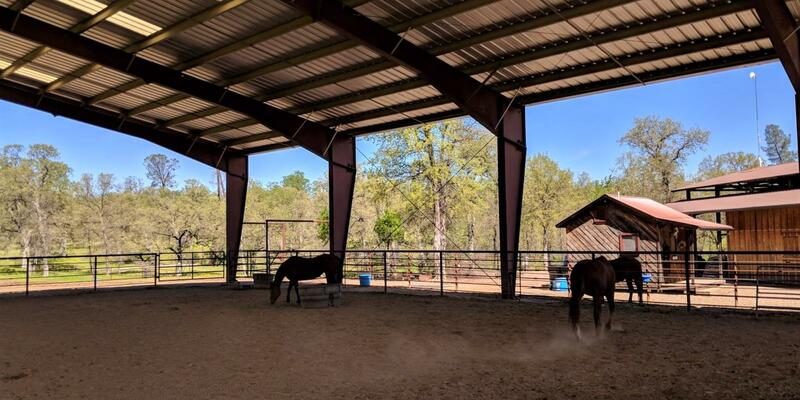 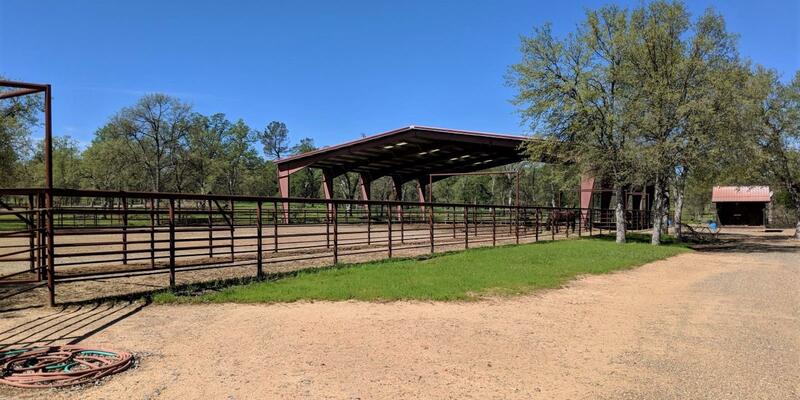 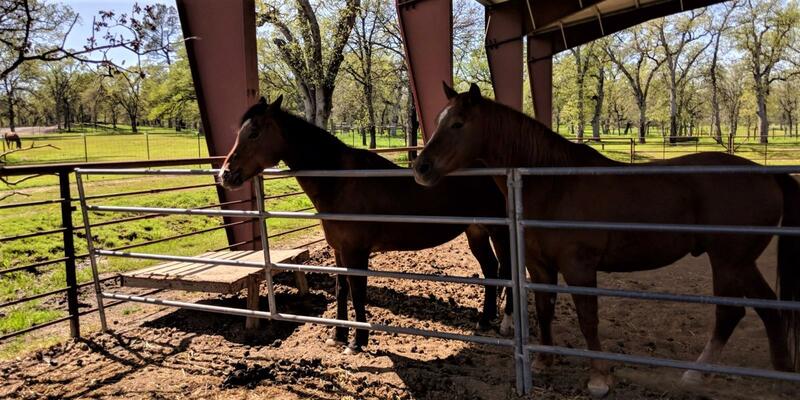 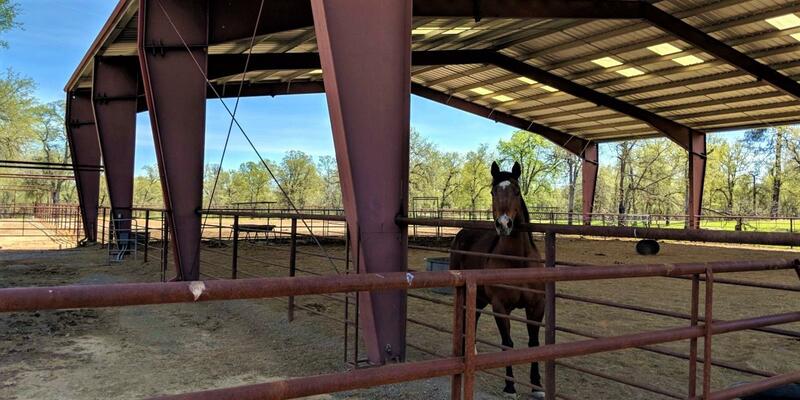 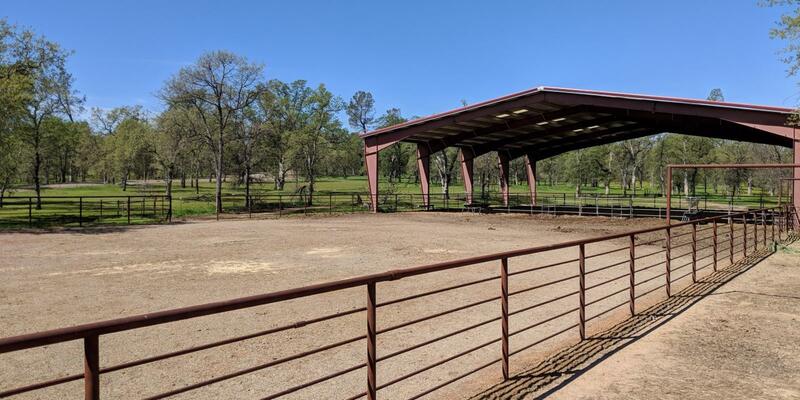 Features include a 90' x 250' riding arena, a 60' round pen, large pole barn, tack building, fenced corrals and several fenced and cross-fenced pastures. 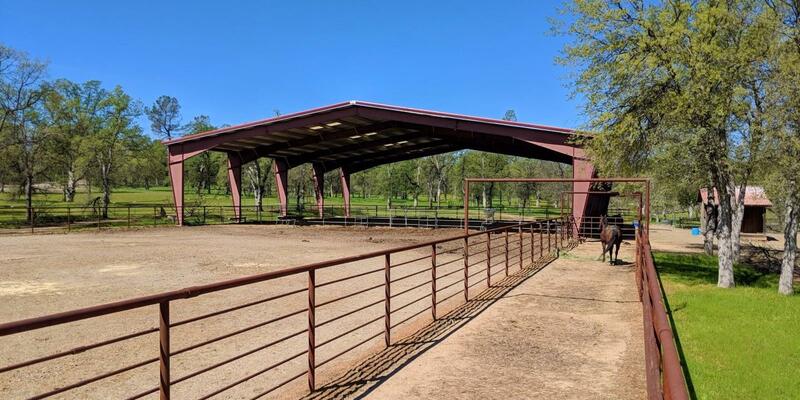 With a history of cattle operations, the ranch offers steel piped gathering/holding pens and alley. 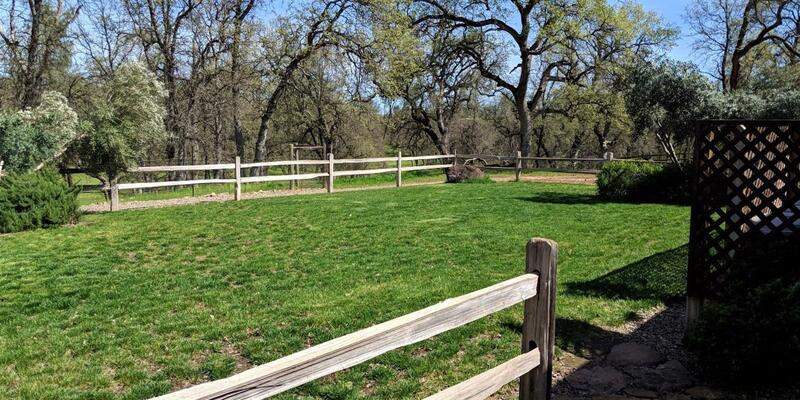 Several fenced and cross-fenced pastures provide plenty of room for grazing. 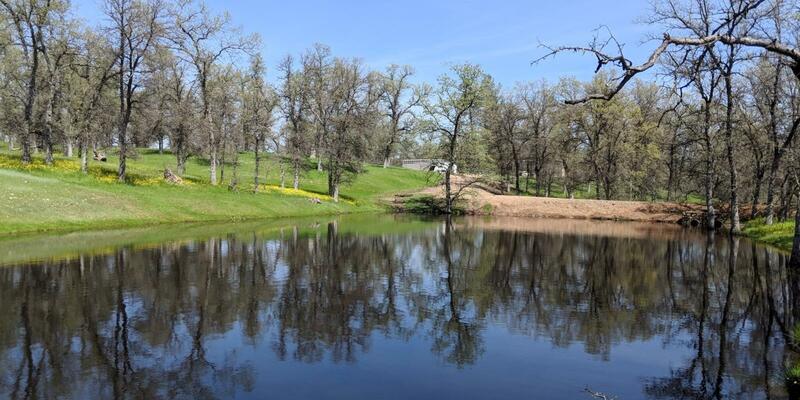 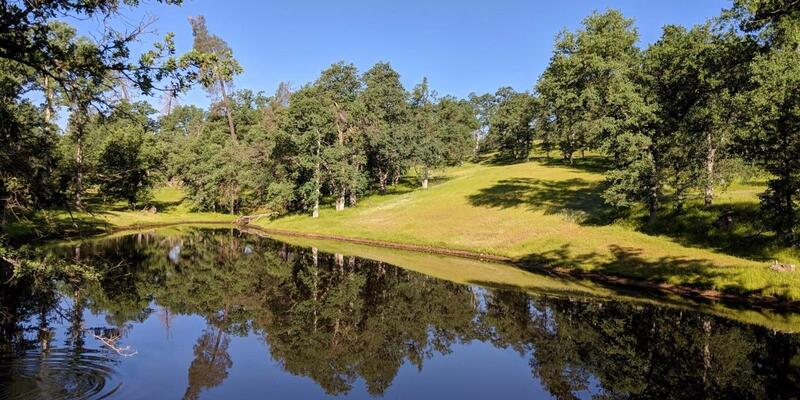 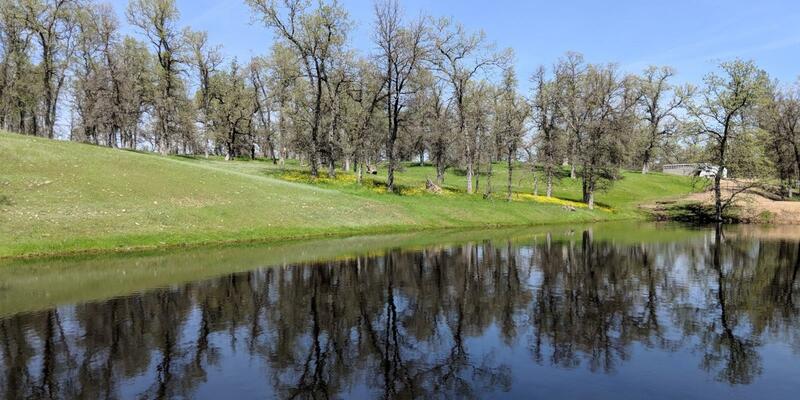 The property features two picturesque ponds that are each approximately 1 acre in size. 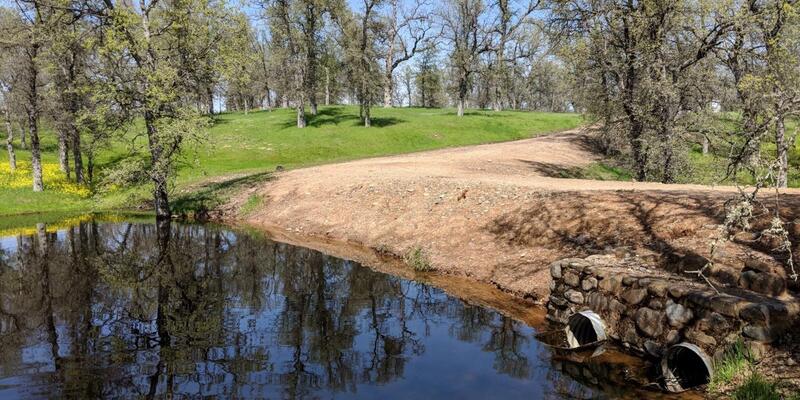 Migrating geese and ducks are often found enjoying the water. 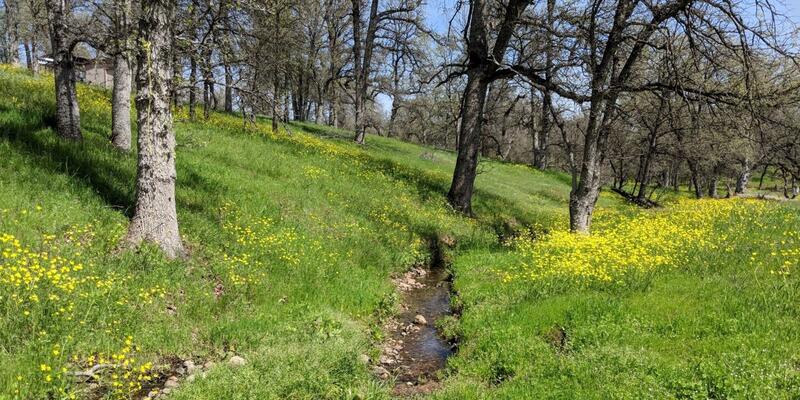 Small seasonal creeks are found throughout the acreage. 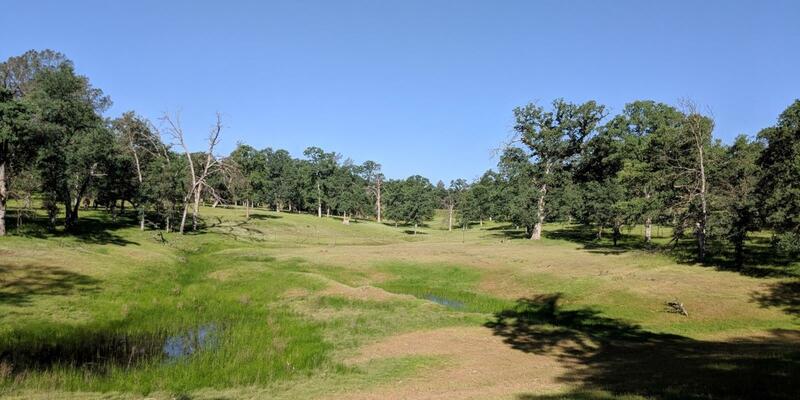 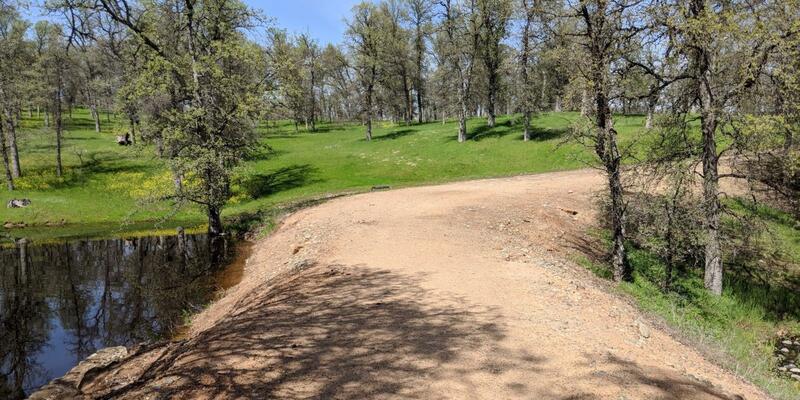 The largest creek traverses the property from north to south on the east side of ranch. 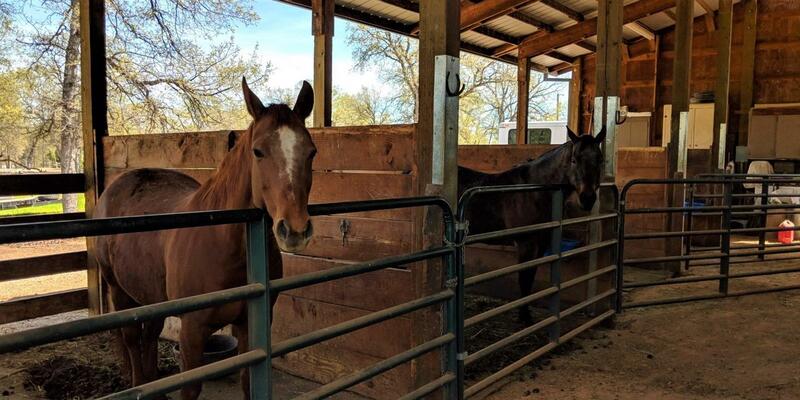 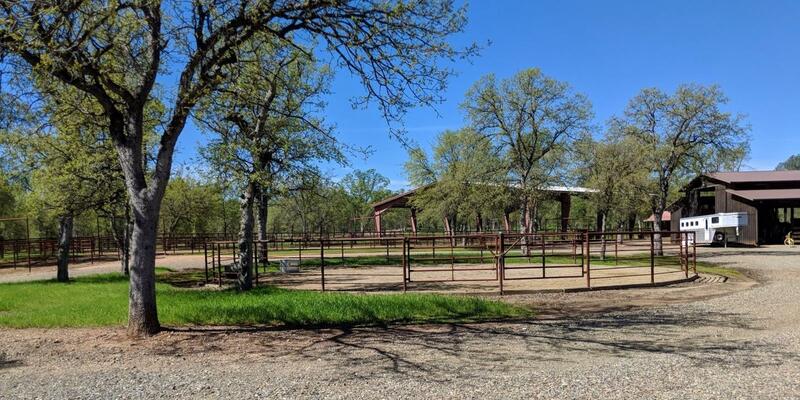 The 3 Rock Ranch is located in the heart of northern California’s scenic Shasta Cascade Region…..an area rich in rural lifestyles and recreation. 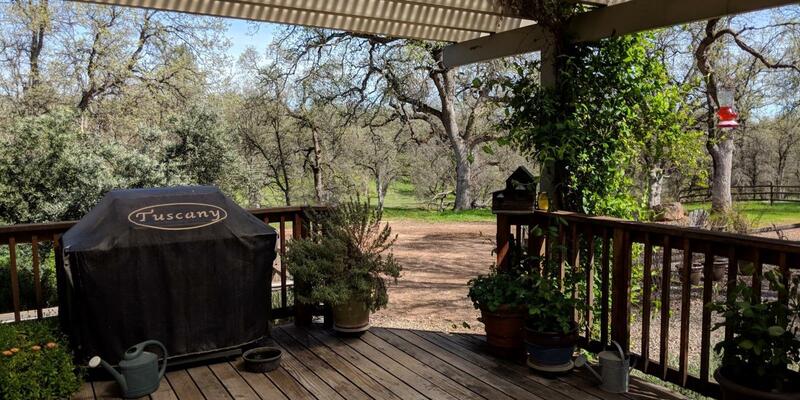 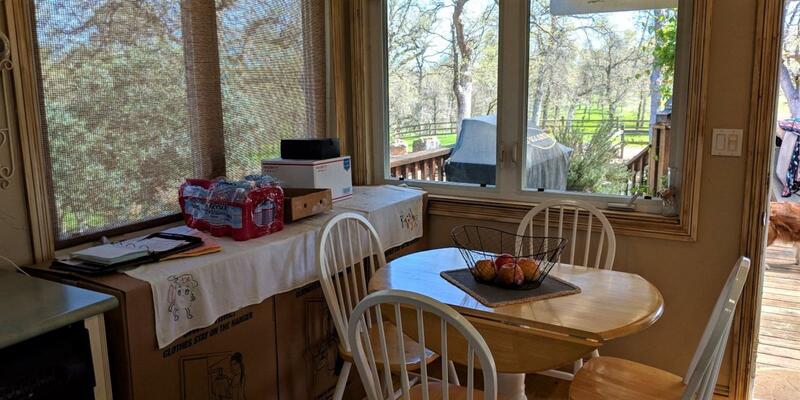 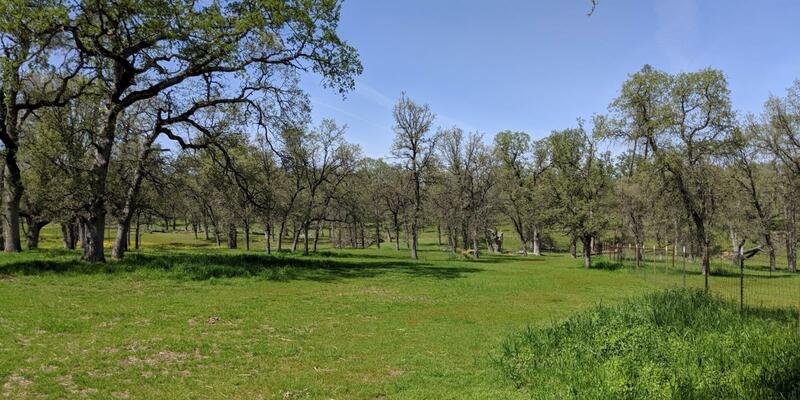 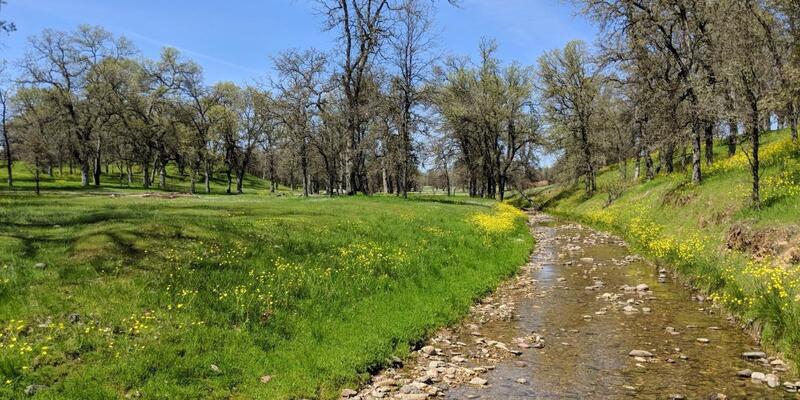 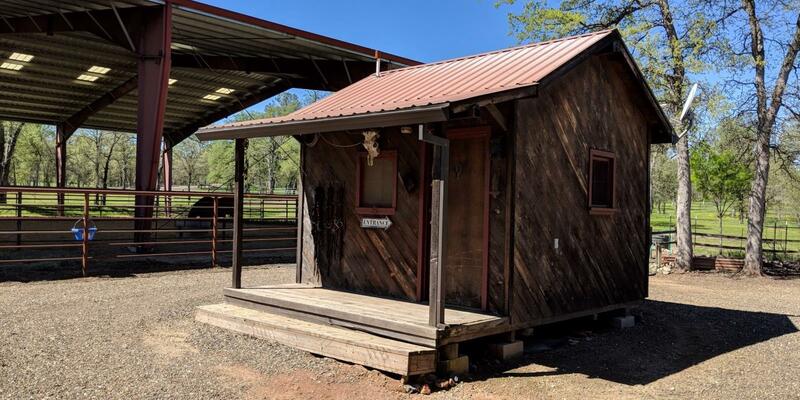 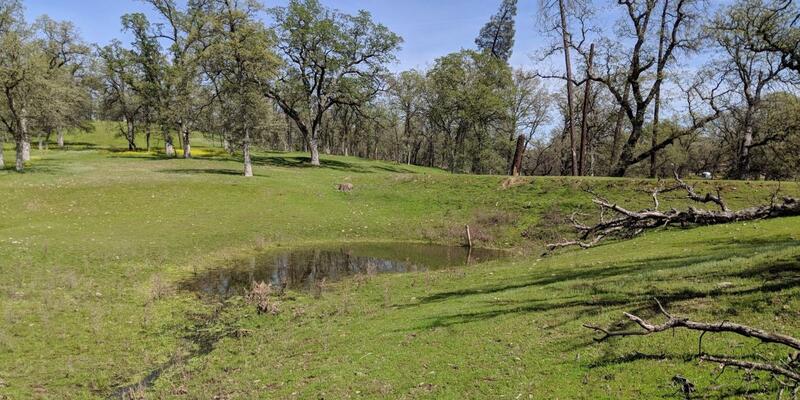 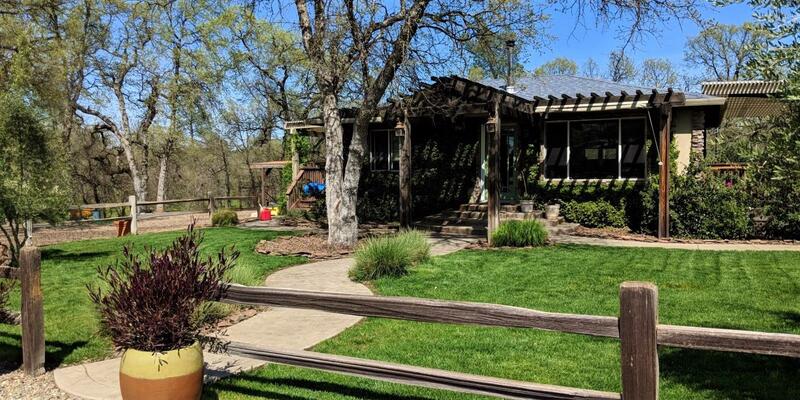 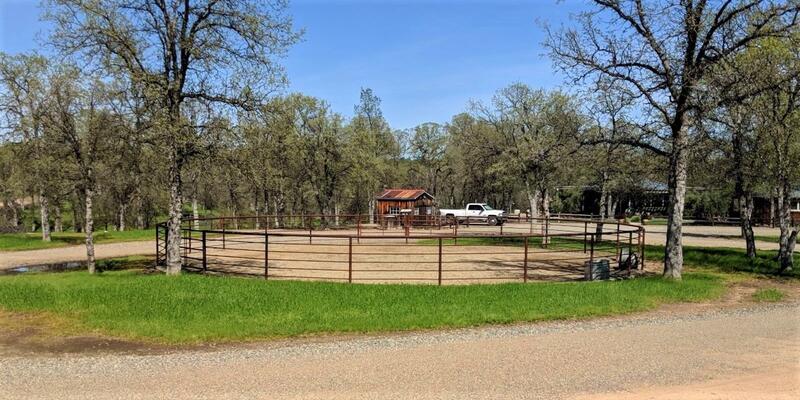 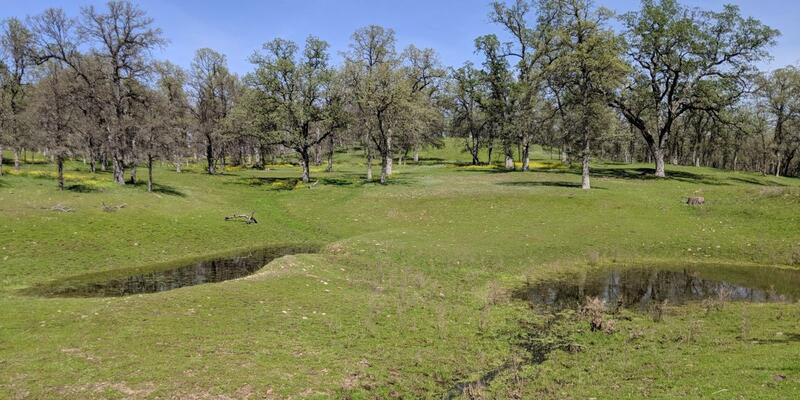 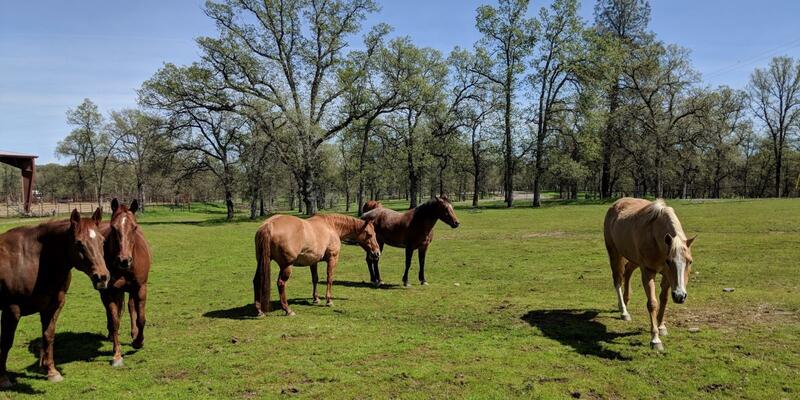 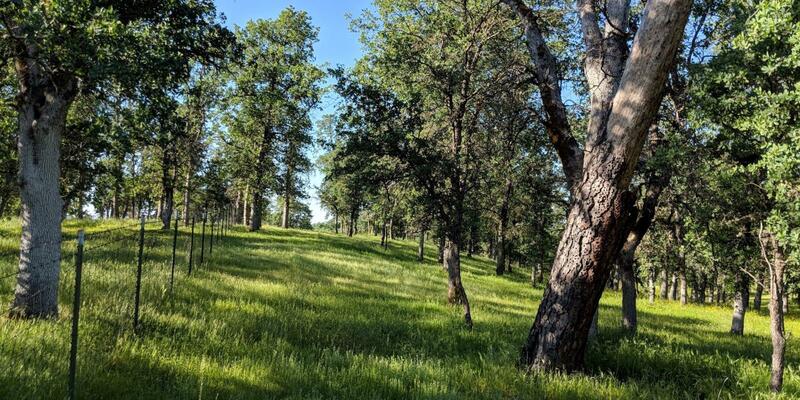 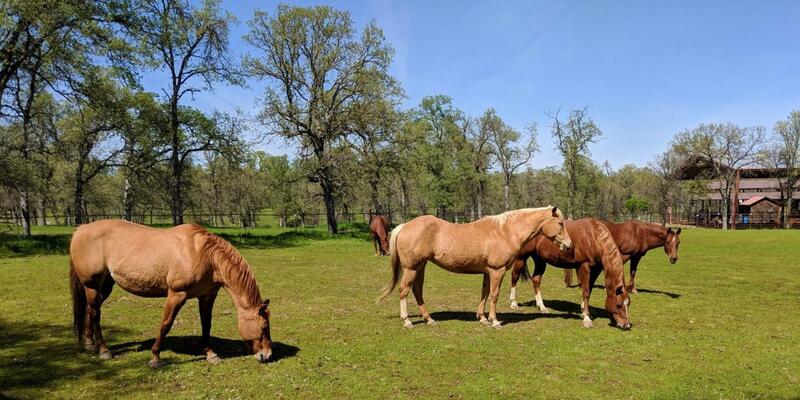 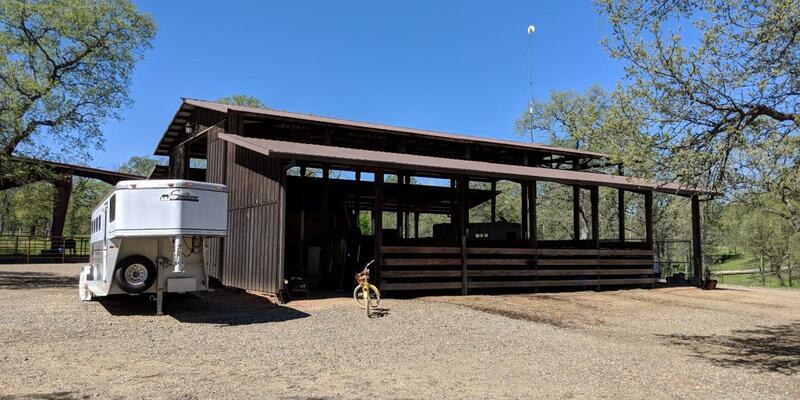 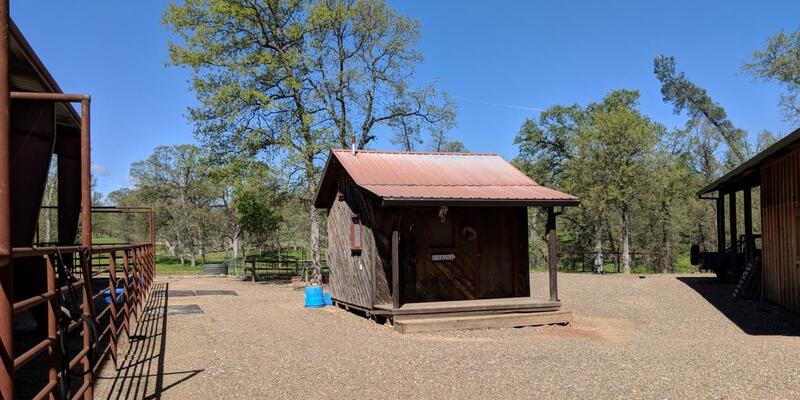 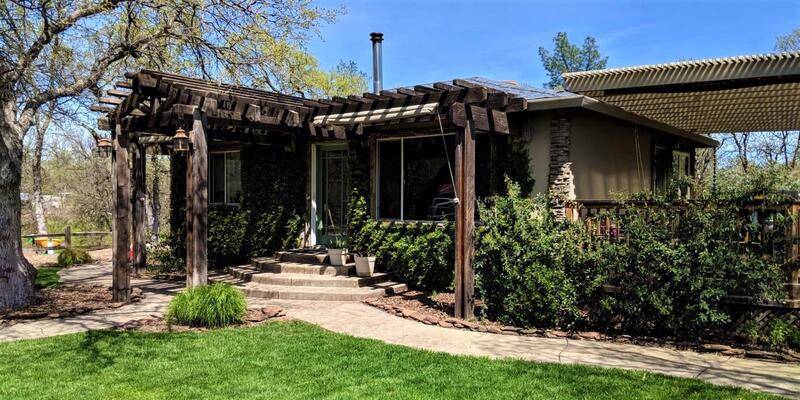 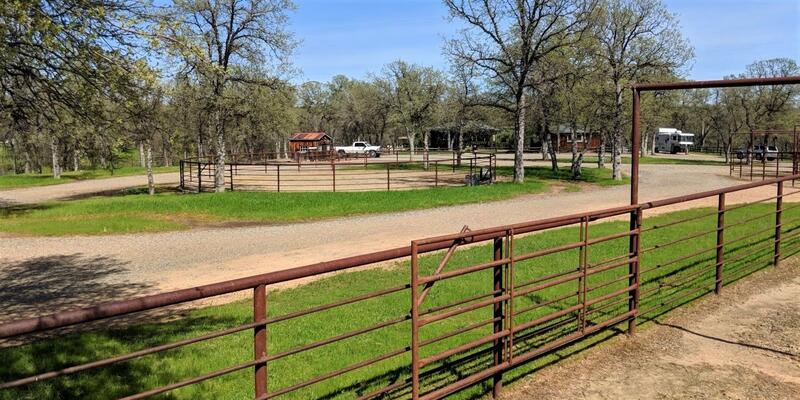 Just a short drive west of the small community of Cottonwood in Shasta County, the ranch is easily accessed by California’s Interstate 5 and paved county roads. 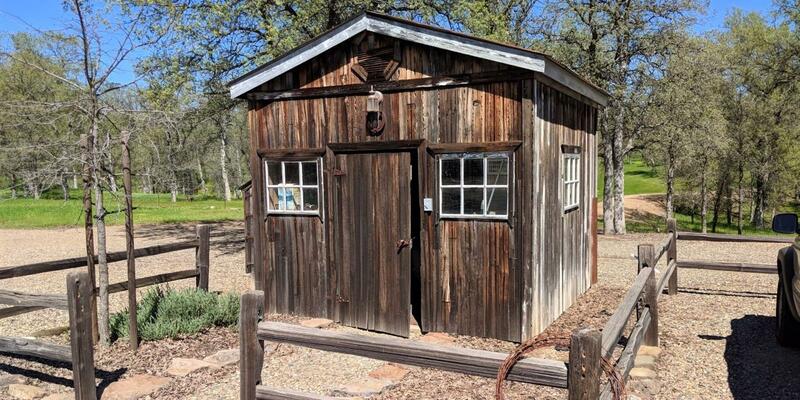 Sacramento is just 159 miles south and San Francisco, 214 miles.